Sundance Guest Ranch, Ashcroft, BC, Canada. 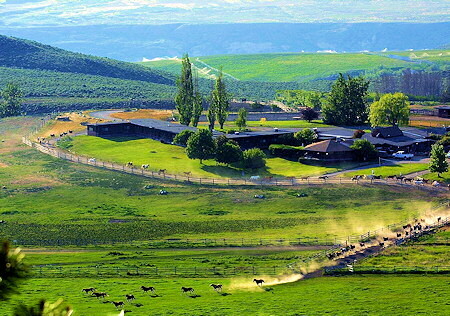 Western Style Guest Ranch Vacations in British Columbia. Sundance Guest Ranch. 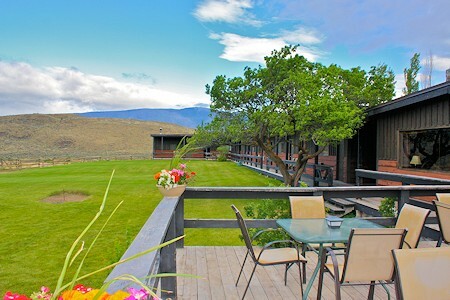 Western Style Guest Ranch Vacations, Horseback Riding, Ashcroft, BC. Just 4 Hours Drive From Vancouver, Canada. This is it - this is your guest ranch! 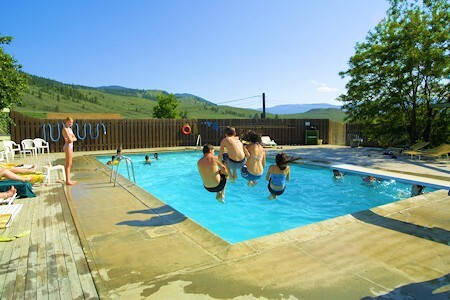 Sundance Guest Ranch is located east of Kamloops in Gold Country, north of the Fraser Canyon, and just 10 minutes outside of Ashcroft. We're also just a four hour drive from Vancouver in the southern interior of beautiful British Columbia -- this is one of the sunniest spots in Canada. This is what we're all about, and we have a herd of around 100 happy, well-cared-for horses. Whether you're a seasoned rider who loves that adrenaline rush of galloping over the countryside on a spirited, responsive horse, or a first-timer who is quite content taking it easy.... it doesn't matter; relax, you're going to love it! Each group of riders is accompanied by an experienced wrangler. We have two rides daily, each lasting 2 to 2½ hours. You've heard about our warm, sunny Ashcroft climate - but are you worried the summer weather might be too hot for riding? Don't be! If it really starts to cook, we skip the afternoon ride and have a beautiful evening ride instead. An afternoon spent by our big beautiful pool, or just having an afternoon nap in your air-conditioned room - will leave you refreshed and ready to ride! We mount up after dinner and head out for a magical experience. There are few things more romantic or beautiful than watching the sun go down in BC's Southern Interior from the back of a good horse! You'll return to the ranch in the cool twilight, then enjoy appies and dessert & coffee served on the patio. 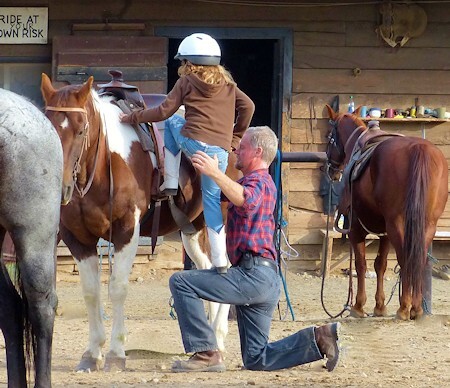 Children must be 8 years of age to go riding, but under-8's can enjoy a pony ride in the arena, and then join our supervised children's program: fun games, crafts and activities while the grownups are out riding! For kids age 3 - 7 yrs during July and August. Our licensed dining rooms adjoin the outdoor barbecue pit where we cook up our Black Angus burgers and charcoal-grilled AAA grade steaks. Vegetarians will also be well looked-after by our talented chef! As you dine, gaze out over the pastures where the horses spend the night. Sip a fine BC wine from our list as you watch the herd gallop by on their way to the fields, then sit down to a delicious three-course candlelit dinner. 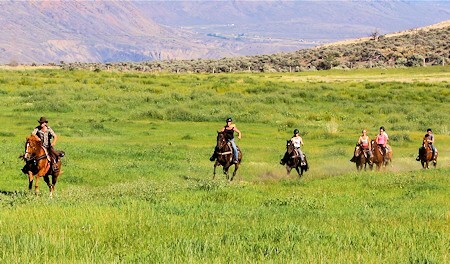 At Sundance Guest Ranch, near Ashcroft, all the outdoor fun builds up quite a healthy appetite. 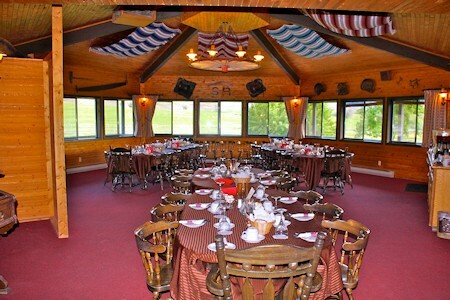 We know how important good food is, and we are proud of what we serve, from our famous ranch breakfasts to the delicious, varied menus for lunch and dinner. extra fee. 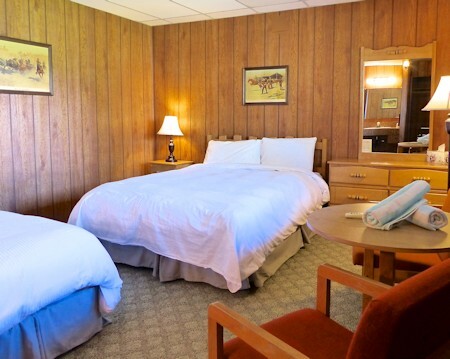 All our rooms are air-conditioned, with full private bathrooms. Kids can stay with parents, or in the "Bunkhouse" wing (small private rooms with boys' and girls' bathrooms in the hall), or in their own room next to the parents (some adjoining rooms available; there may be an extra charge for children in their own standard room, depending on availability and number of children). Games Room with pool table, air hockey, foosball, and even a vintage "Ms. Pacman" - all free! Movie lounge featuring a 60" wide-screen TV. Satellite TV is available for that big game you don't want to miss! Beautiful BYOB adult lounge with Saturday night dances and billiard room. Certified Massage Therapist on call. Sundance Guest Ranch is your ranch in the country where you come to unwind, to take a break from work and have some fun, to see old friends and meet new ones, to turn off your mobile phone, and just enjoy life! "The first time, it's a vacation; after that, it's coming home!" Sundance Guest Ranch. 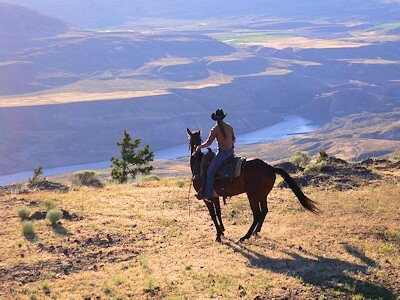 Western Style Guest Ranch Vacations, Horseback Riding at Ashcroft, BC. Just 4 Hours Drive From Vancouver, Canada.